Write on, dude!! 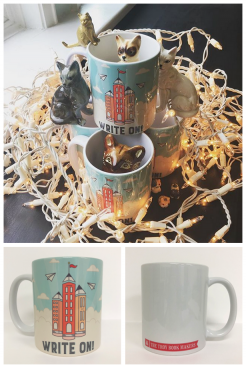 Encourage the writer in your life to write on with this fun, colorful mug! This standard size 11oz ceramic mug is perfect for coffee or tea (we all know authors run on caffeine! ), and is both microwave and dishwasher safe.